It’s officially party time! Use this template to make a presentation with a dance and party theme. A colorful party scene with people dancing on a concert/night club background. Zoom into the topic circles and insert your own content. Talk about an upcoming party or concert, or describe famous artists and party locations. 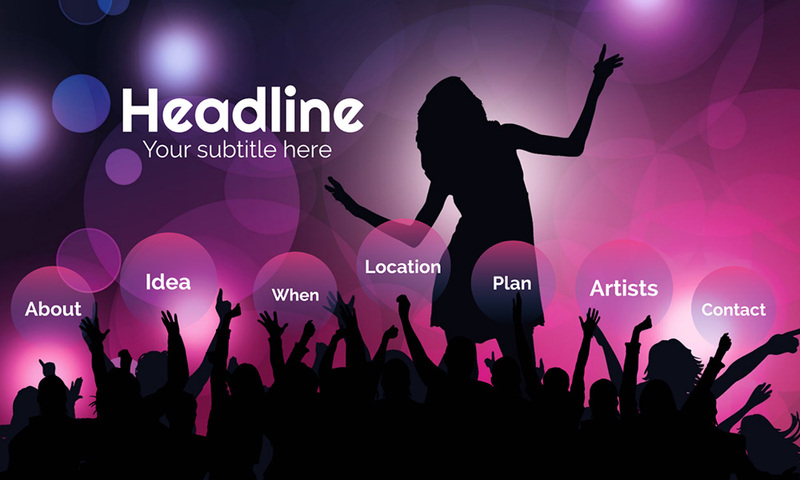 Promote your own event, a famous festival, or simply talk about dancing. This entry was posted in Best Prezi presentation templates, Prezi Next Templates and tagged alcohol, audio, band, celebrate, celebration, cheer, concert, dance, dancing, disco, drink, festival, happy, live music, music, night club, night club presentation template, party, presentation template dance, presentation template party, prezi next, prezi next music, prezi next templates, prezi party template, prezi template, prezi templates, women.